Is There an Aristotelian in the House? Or a Thomist, certainly. Somebody who could help me out with some basic philosophy. Woke up thinking about a certain epistemological issue, thought the readers of this blog might find this entertaining. Background: a few months ago, at our Chesterton Society Reading group meeting, there was a fun discussion with two people who had dropped in to visit, (incidentally, the son and grandson of a famous economist) about the importance of Aristotle. My boy Aristotle was being dissed. The claim was that he had been superseded, and the example given was that he totally got inertia wrong. I was stunned into silence (doesn’t happen often, but it did this once.) I felt a little like the man Chesterton described, asked to explain why he prefers civilization – where do you even start, if it’s not obvious already? Now, upon reflection, I should not have been surprised. That these gentlemen knew enough Aristotle to even know what he says about inertia shows a very much higher degree of knowledge of Aristotle than is typical. They knew enough modern science to draw the obvious conclusion that Aristotle was ‘wrong’. Because he’s ‘wrong’ about basic science, he’s been superseded, and one would do better studying somebody who got it right – a completely reasonable position, if one assumes Aristotle is primarily a scientist in the modern sense, or that philosophy depends for its validation upon such science (the position of the Analytic philosophy taught in universities today), or both. Background 2: I am a pathetic poser when it comes to Aristotle. I only really studied the Physics, dabbled in everything else. One can’t just read Aristotle – one would be lost within a page or even paragraph. Dense doesn’t do it justice, not bafflegab dense like Hegel (1), but dense because each phrase has been formulated down to its rock-hard minimum, and builds carefully on the last. Each sentence and phrase needs to be understood before moving on, or it quickly becomes a mish-mash. I breezed through a bunch of Aristotle, which has left me muddleheaded. More muddleheaded, I mean. There may well be people – Thomas, I suppose – who could just read Aristotle like a novel and get the gist. I am not one of those people. Which is why I’m pondering here. He (Feynman’s father) had taught me to notice things and one day when I was playing with what we call an express wagon, which is a little wagon which has a railing around it for children to play with that they can pull around. It had a ball in it—I remember this—it had a ball in it, and I pulled the wagon and I noticed something about the way the ball moved, so I went to my father and I said, “Say, Pop, I noticed something: When I pull the wagon the ball rolls to the back of the wagon, and when I’m pulling it along and I suddenly stop, the ball rolls to the front of the wagon,” and I says, “why is that?” And he said, “That nobody knows,” he said. “The general principle is that things that are moving try to keep on moving and things that are standing still tend to stand still unless you push on them hard.” And he says, “This tendency is called inertia but nobody knows why it’s true.” Now that’s a deep understanding—he doesn’t give me a name, he knew the difference between knowing the name of something and knowing something, which I learnt very early. Having a name by which to discuss a thing is a powerful aid and channel for thought. (This issue of how having names reflects and influences thought has been laid out very ably by Mike Flynn on his blog, most recently here – check it out.) It’s tempting to say that one cannot even think about something without first naming it, but, as a musician – I have musical ideas – I know that’s not quite right. There’s a lot of brilliant thinking going on in a Bach fuge, but the words come well after the thought has been completed. Aristotle didn’t have a name for inertia, and we do. Aristotle had a name for horses, and we do, too. I will now fumble around trying to spell out the differences between the class of things such as inertia, and the class of things such as horses. Aristotle has the concept of a thing that, by its nature, separates itself out from the background, a thing that presents itself to our understanding, a ‘this’ as in the case of ‘this horse’. A horse is full of life and meaning, and is not at all blurry around the edges. (2) Any individual horse will yield a whole bunch of information to the senses and understanding without us having to do much of anything except observe and think. Studying several horses quickly yield an understanding of horseyness in general. Horses have a nature, in other words, and we bring our understanding to that nature, which will always be greater than our understanding – there will always be things about horses which any horse embodies yet remain outside or even beyond our understanding. Natural objects are like that. They have natures, intelligible forms, to which our minds are suited and directed, but which are not necessarily things our minds can completely grasp. We don’t really directly study Nature in any sense beyond studying natures. It’s definitional – a ‘this’ is something with a nature that can be understood at least to some extent, otherwise it would lack that ineffable something that makes it a ‘this’. Inertia is not a ‘this’. We never say except in jest ‘See that inertia over there?’ Feynman’s dad was indeed a deep thinker, recognizing that having named inertia was not the same as knowing what it is. In some sense, inertia does not leap out of the background like a prancing horse, presenting itself to our senses and understanding. Instead, we see, if we are paying very close attention, some things which happen consistently over a wide range of experiences: the ball keeps rolling, the stone block doesn’t want to move, I am thrown from the horse if it pulls up too sharply. It is indeed an act of human brilliance to find the common thread, and to name that thread ‘inertia’ and then to come up with rules and math that describes how inertia ‘behaves’ in useful ways. Newton is the man! But he is a man standing on the shoulders of very many more men all the way back to Aristotle, who laid the groundwork. Getting over (well, more over) my head. What bugs me is that I’m certain Aristotle talks this issue through somewhere in great detail, and I’m not remembering where. Anyway, back to that Chesterton meeting. I tried to point out that it’s Aristotle’s logic and method that have never been superseded, that all science today (excluding, of course, Science!) is built upon them. Didn’t remember the Feynman story fast enough. Left it in an unsatisfactory state. 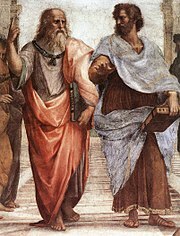 Aristotle’s examples are of the essence of his philosophy and method. They are simple and direct. Hegel’s examples, when he deigns to give them, are complex and generally fail to make his point, rather, they assume his point. Thus, Aristotle will talk about how ‘white’ is always in another thing and never present by itself, and give the example of a white horse; Hegel will give Art History (as understood by Hegel) as an example of the Spirit unfolding through History. If you don’t already believe that the Spirit unfolds itself through History, the supposed upward progress of art through stages of spiritual enlightenment will, alas, not be visible to you. The story about how Cortez’s horsemen were at first thought chimeras by the Aztecs notwithstanding. 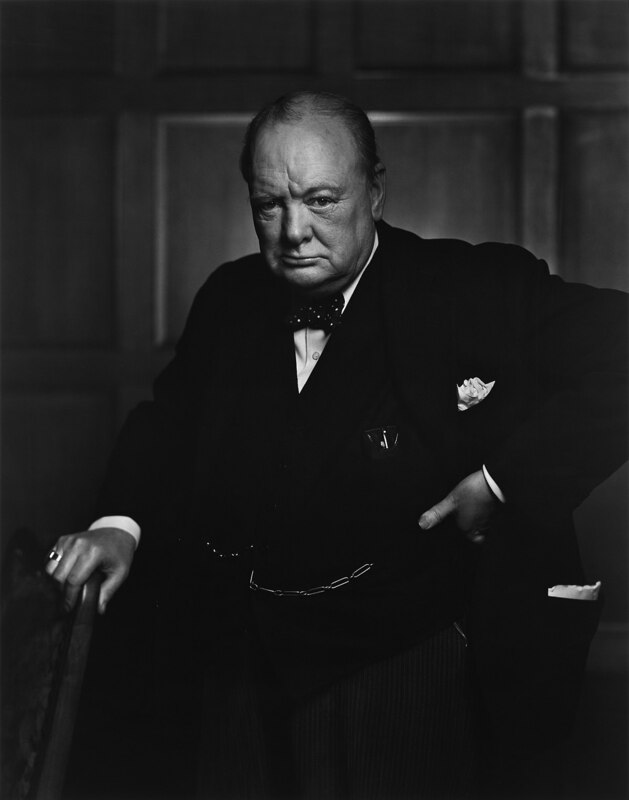 Author Joseph MoorePosted on February 24, 2019 Categories Chesterton, Philosophy, Ponderings, Science!21 Comments on Is There an Aristotelian in the House? Proposed by aetherfilledskyproductions. Amazing, but I don’t think this tune has yet come in for brotherly correction on this blog. We will need to fix this oversight before giving it the Deus Vult treatment. Thus, Part the Third (a) shall review this song; we shall see what can be done to properly weaponize it in (b). It is too cute by half, and is trying too hard. It would take far deeper poetic gifts than are on display here to make this work. Salvation is likewise portrayed as a dance. In the hands of a great mystic, this might work. In the hands of Sydney Carter, not so much. …where we, each one of us, is the beloved of Christ, Who expresses his love AND explains what His Dance entails through the example of His life, death and resurrection. He is Crucified for us – AND that Crucifiction is part of the Dance that He is inviting us to! In other words, as you will see when you peruse the medieval text, quite a bit deeper and more challenging than Sydney Carter’s Lord of the Dance. The sort of Christianity Mr. Carter believes in is not what the Church believes – it is a sort of syncretist Jesus-light Hindu flavored Arianism. So, in the last song, we had a Church of Christ heretic, not to put too fine a point on it, teaching us about the Eucharist. Here, we have a syncretist teaching us about how Hinduism and Christianity are a lot alike, especially Hinduism. What could possibly go wrong? It’s not like he’d be inclined to equivocate on Jesus’ unique divinity or anything…. It is set to a modified Shaker tune, perhaps best known from Simple Gifts. Shaker tunes do have a certain charm, and are not as utterly inappropriate for use at Mass as many other styles, but – maybe I’m a snob – they are not great music. We can do better, but, hey, we can and certainly do do much worse. In the folk tradition, the tune is merely beaten into submission whenever the text doesn’t quite fit it. Let’s go verse by verse again. This has a rustic charm to it, and is not strictly heretical. He echos the first chapter of John, except that Jesus here dances in creation, instead of *creating* creation. The world was not just passively ‘begun’. Weak. His Divine Nature is omitted, as one would expect from a syncretist. We have all heard people say a hundred times over, for they seem never to tire of saying it, that the Jesus of the New Testament is indeed a most merciful and humane lover of humanity, but that the Church has hidden this human character in repellent dogmas and stiffened it with ecclesiastical terrors till it has taken on an inhuman character. This is, I venture to repeat, very nearly the reverse of the truth. The truth is that it is the image of Christ in the churches that is almost entirely mild and merciful. It is the image of Christ in the Gospels that is a good many other things as well. The figure in the Gospels does indeed utter in words of almost heart-breaking beauty his pity for our broken hearts. But they are very far from being the only sort of words that he utters. Nevertheless they are almost the only kind of words that the Church in its popular imagery ever represents him as uttering. That popular imagery is inspired by a perfectly sound popular instinct. The mass of the poor are broken, and the mass of the people are poor, and for the mass of mankind the main thing is to carry the conviction of the incredible compassion of God. But nobody with his eyes open can doubt that it is chiefly this idea of compassion that the popular machinery of the Church does seek to carry. The popular imagery carries a great deal to excess the sentiment of ‘Gentle Jesus, meek and mild.’ It is the first thing that the outsider feels and criticises in a Pieta or a shrine of the Sacred Heart. As I say, while the art may be insufficient, I am not sure that the instinct is unsound. In any case there is something appalling, something that makes the blood run cold, in the idea of having a statue of Christ in wrath. There is something insupportable even to the imagination in the idea of turning the corner of a street or coming out into the spaces of a marketplace, to meet the petrifying petrifaction of that figure as it turned upon a generation of vipers, or that face as it looked at the face of a hypocrite. Here we have the interjection of the gentle side of Jesus that the Church rightly presents to her children the vast majority of the time into a situation in which He was not gentle. A modern pharisee or hypocrite, confident that he is unlikely to run into the “petrifying petrifaction” of Christ’s face in wrath just around the next corner, might very well comfort himself with the idea of Christ merely dancing an invitation to the pharisees, rather than rebuking them and – gulp! – judging them. Can’t have that. It is too horrible to contemplate. The nice syncretist Jesus of our cowardly imaginations would never rebuke us! He is our brother! Our Friend! That Guy. The One His Holy Mother is diverting her eyes from. He appears to have smiting on His Mind, and doesn’t seem too interested in excuses. Verse 1 has watered down Jesus of the Scriptures to an acceptably tepid level. In a similar vein, note how it’s not the hypocrites who “said it was a shame” but the holy people. We needn’t stretch too far to see the blanket condemnation of anyone even trying to be holy in any conventional manner in favor of those who are simply willing to dance – as equal partners, of course – with Christ. While the ‘devil on your back’ image is certainly evocative, I note that this lyric does the opposite of what the Church does when it commends the Crucifiction to our contemplation: we are urged to focus on our role in Christ’s death, how He died for our sins. But that would be, like, a total buzz kill. Better to redirect attention to the devil. In general, this is just not a good song, not overtly heretical, but subtly so. I would find better things to complain about if it were sung around a campfire or as part of a procession, even though even then we could do better. But as part of Holy Sacrifice of the Mass – no. Just no. Next up: give it the Deus Vult treatment. It has been the great tragedy of our time that people were taught to read and not taught to reason. A fascinating comment on an old post that’s been getting some attention lately (by the lowly standards of this blog, anyway) got me to thinking about textbooks. After some preliminaries, we’ll treat each of these questions in turn over two or three posts. Background musings: When reading a book, one is almost always forced, alas, to rely on some intermediary person’s understanding of the materials. Most works I read and want to read are compilations from other sources (almost all history) or are translated into English, or both. 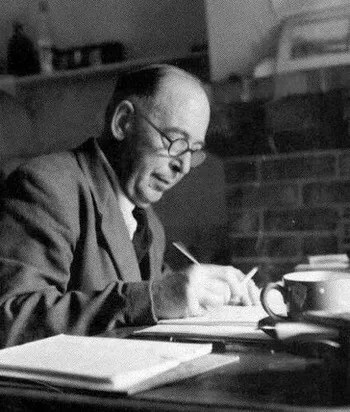 Works of fiction and the occasional first hand account written in a language you read are exceptions – in novels and front line stories, the writer is free, more or less, to tell it as he sees it, and you get to interact, as it were, directly with the writer. Translations are perhaps the obvious challenge. I read a lot of books written in other languages, and am often acutely aware of being at the mercy of the translator’s understanding and biases. The couple years I spent studying German in high school left no trace; the 2 years of Greek and one of French in college (1) had the benefit of making me aware of how difficult the translator’s job is even with the best of intentions. Read any two translations of Dante, let alone Homer, and you will in places wonder if the translators are working from the same sources. I today read very, very little French and less Greek. And effectively no German. Sigh. The intermediary in this case is the translator, who has a whole passel of challenges and temptations to deal with, not least of which is to simplify and gloss over stuff he may or may not understand. Some of the more intense discussions at St. John’s were occasioned by why Hippocrates G. Apostle (a well known and fabulously-named translator of Aristotle) had translated the same Greek word into more than one English word according to context, whether his assumptions about context were correct, and whether it was ever OK to read into a text in that manner. Many different translations were dragged out for comparison. “Sheer fantasy” was a comment made by one of the more linguistically skilled professors. St. John’s College is weird. It also should be pointed out that reading anything like a literal translation of Aristotle is nearly as difficult to understand as it is for somebody with two years of Greek to try to read him in Greek. So, we were all sympathetic to Apostle, but I think we, in the end, didn’t much approve. I tell the above story merely to illustrate how challenging translation can be, and how one must always exercise some degree of caution when reading translated works. In some cases, the translator’s introduction and footnotes can be very helpful in explaining his approach and sometimes biases, and in helping explain tricky words and passages. But sometimes not. The other main intermediary is the compilers/re-tellers. When reading history especially, the reader is unpacking a Russian doll – there are the original sources which may or may not be brought to the fore, and all the other historians who have looked at the same materials whose influence may or may not be acknowledged. Exactly what you’re getting, particularly in popular histories where the writer is unlikely to let facts get in the way of the story, is difficult if not impossible for the lay person to grasp. History is a challenging task, where the broad strokes may not be too controversial, but everything else is up for grabs. The trick is trying to capture both the telling details – and upon what criteria is this detail or that deemed telling? – while at the same time providing some context and overarching analysis without simply steamrolling those details. Again, introductions and notes are often helpful or at least telling. When I read A History of Private Life a few years ago (well, most of it anyway) I had to deal with both translation – it was written in French – and marked biases among the various scholars who contributed. Some were openly Marxist, which means inclined to lie and ignore stuff the moment it becomes inconvenient to their pathology, while others had an Germanic, nearly obsessive fascination with details (I liked those guys – go figure). And some had no obvious agendas. Good series. It helped me at least to have a little heads up as provided by the introduction and notes. Using big words and plenty of them, and having good things to say are not the same thing. There is a more complicated thing one might learn, about how an educated person sees the world. This is much harder to put into words. The effect is that one becomes aware of perspective, about how the world will look a certain way to someone who has had certain experiences and accepted certain premises. Crucially, one sees the interaction between beliefs, character and action. In many ways, great novels make this more clear than other types of books, although it’s a critical part of Homer and even of Aristotle. I suppose this is what is meant by being broadminded. Simply put, and with notable exceptions, textbooks are meant to prevent learning any of the lessons a student might learn from good books. Exceptions include attempts to condense and to some extent predigest the fundamentals of highly technical topics. Grammars, and some math and science texts fall into this class. Textbooks of this type are sometimes highly original and creative in themselves. Euclid, for example, is sometimes considered a textbook on Greek mathematics, but the gradus ad Parnassum structure of the Elements, leading the student logically from simpler to more complex concepts and proofs, was at least perfected by Euclid, and is his greatest lesson. Most modern textbooks are not exceptions. Consider the fundamental difference between modern textbooks versus the earliest textbooks use in America, say, McGuffey’s Readers. The Readers were literally textbooks, collections of texts written by what the compilers thought were great writers, typically expressing thoughts characteristic of the highest aspirations of the people whose children were to read them. The readers are hard, at least much harder than the texts we expect children of similar age today to read. Modern textbooks are not, as a rule, collections of challenging texts. Instead, the materials in them are fresh wrought. These materials tend to be very simple. This is one aspect of Pestalozzi’s methods (such as they are) that Fichte loved: all learning is to be broken down into atoms, and no student is permitted to move on to atom B until the teacher has determined that he has mastered atom A. A child with the slightest interest in learning to read will get past the ‘See Spot run” level in at most a couple weeks. This step – giving kids simple sentences made up of easily sounded out words – seems to have, historically, been skipped. In America, large numbers of children learned to read from the King James Bible, which no one will ever accuse of being a collection of simple sentences made up of easily sounded out words. In general, excepting those textbooks that serve the purpose of collecting and organizing complex basics such as grammar and math, modern textbooks are collections of newly created materials, generally fragmented and simplified to some imagined lowest common denominator. They contain the often increasingly arbitrary acceptable answers to a set of predefined acceptable questions. These questions and answers are under the control of the teacher alone. Next, we’ll discuss who gets to say what’s in them. Contrary to all expectation, including mine, I did pass the junior year French reading exam at St. John’s, so there was a brief period where I was a *certified* reader of French. Perhaps you’ve heard the story of St. Joseph of Cupertino? A man considered by his peers to be hopelessly stupid? Where, the story goes, in order to advance toward ordination, he needed to give a brief exposition on some scripture passage, and the examiner asked him about the Nativity narrative – the one point in Scripture upon which any of his religious brothers had ever heard him expound with any coherence. He passed, and ended being ordained a priest. Well, the St John’s College French test happened to be on a passage from de Tocqueville with which I just happened to be very familiar. (de Tocqueville also happens to be very easy French). As soon as I started trying to read it, I was all ‘oh, that passage!’ Luck? Divine Providence? You decide! Confession: it is unlikely I will live long enough to read Gibbons or Wells all the way through. I’m judging them here based on the snippets I have read and their reputations among people whose views on the matter I respect – e.g., Chesterton. I’ve long said that trying to understand the ancient Greeks and Hebrews is a greater and more fruitful cultural reach than trying to understand any current culture. The Greeks and Hebrews as deep beyond deep, and as alien in many ways as Martians. And yet, they are us! Any even half serious reading into education turns up a few themes over and over again. One of these is that not only is self-education the best education, it is the only education. This truth is obscured somewhat by the occasional accident of education taking place at a school or university. Because there is often somebody lecturing and testing us, and it is possible (if unlikely) that we will learn something in the processes of taking notes and preparing for tests, we tend to associate what we may be said to have learned in a class with the mechanics of the class, rather than in our having applied ourselves to the the ideas presented in the books and by the teacher on our own initiative. We are trained to see learning as a result of having taken the notes and passed the test, rather than seeing the notes and tests as, at best, starting points for thought. Tests and notes might be helpful in some other context, where taking the notes is not merely a means to passing the tests and therefore the class. But in the context of a modern school or university, passing the classes and getting the Document of Approval is the goal – a goal which can demonstrably be achieved without any learning at all. I began my education at a very early age; in fact, right after I left college. The text we call Aristotle’s Physics has long been supposed to be some student’s notes to some of Aristotle’s lectures. If so, these are the kinds of lecture notes that can educate, because it’s work to think about them – they are meaningless without thought. A lot of thought. Working through the Physics or indeed any of Aristotle’s works exercises the mind – educates us, in other words – more than getting a PhD’s worth of passed tests and classes under our hat bands. The point here is that you might find yourself working your way through the Physics in the course of getting a PhD, even a PhD in Philosophy – but it is hardly necessary. If you had the typical Analytic Philosopher infesting academia these days as your thesis advisor, thinking hard about the Physics would probably be a career limiting move. But you’d learn something. If your newfound knowledge included disdain for Analytic Philosophers, all the better. Sometimes, the importance of self education is emphasized through disparaging of classroom education. Sometimes, the writer will retain the (vain) hope that the classroom could, if properly managed, impart some education, but despairs of what it is used for today. Why you fool, it’s the educated reader who can be gulled. All our difficulty comes with the others. When did you meet a workman who believes the papers? He takes it for granted that they’re all propaganda and skips the leading articles….He’s our problem. We have to recondition him. But the educated public, the people who read the high-brow weeklies, don’t need reconditioning. They’re all right already. They’ll believe anything. Chesterton, a self-educated man, takes a dim view of modern schools and their standardized outputs. When learned men begin to use their reason, then I generally discover that they haven’t got any. There is something to be said for teaching everything to somebody, as compared with the modern notion of teaching nothing, and the same sort of nothing, to everybody. Catholics believe that each child is created in the image of God and is infinitely valuable in and of himself. This has tempered to some degree the evils inherent in classifying and controlling students through classroom schooling. The friendship model of education is much closer to the nature of the Catholic teacher/child relationship than graded classrooms, which defeat friendship and indeed personal relationships at every turn. That this older successful men educate the younger promising men thing got competitive, where older men would vie to be the friend of the most beautiful (in the complete Greek sense of beauty) younger men and that these relationships sometimes became sexual was possible only because the Greeks believed such education based on friendship was essential to men becoming ‘excellent’ in the classic Greek sense. The whole sexual thing is probably overblown, and at least cannot be correctly understood within Freud’s insane and fraudulent schema. The Founders, who as a group are at least comparable to a generation of Peak Athenians, were also educated in what would today be considered a slapdash manner: little school here, some tutoring there, a whole lot of reading, and a huge dose of practical experience. Hey – let’s do that! Surfing for job related reasons, came across this article (which I link to be polite; life is too short to read such things unless you’re paid to do it). 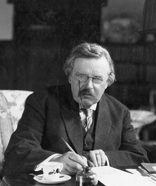 I was lead to ponder: A related idea to Chesterton’s point about classrooms – it’s what the schools assume that the students will learn even as they ignore what the teachers say – is the notion that it is the assumptions underlying an essay such as the article linked above that carry any message that might stick. Peter Drucker, the management guru, is often credited with the all-too-true saying that “culture eats strategy for breakfast.” In a later era, tech guru and investor Marc Andreessen famously said that “software is eating the world.” Now … there’s a growing realization that culture is eating software for breakfast, and perhaps lunch and dinner as well. The challenge for IT executives and developers alike is addressing corporate culture and organizational issues that complicate even the best intentions. There’s more along a similar vein. In fact, there really isn’t anything else in this essay. This man has the world at his feet! Or by the feet. Something like that. I suppose a Cobbler’s Guild, faced with the daunting challenge of filling blank electronic pages, might publish articles about how nobody’s going anywhere without shoes, and there must be a meeting of minds between the shoemaker and the shoe wearer. People wear shoes at breakfast, lunch and dinner! We have a shod culture! Imagine the solemn duty, the awesome dignity we, the shoemakers, have to lead the culture – in comfortable, stylish footwear – into a glorious future. Note the relationships implied in these short sentences quoted above. Culture, which we might think of here as simply the conventions honored by people when they function together, eat strategy. The implication – Peters is a *management* guru, after all – is that the culture should be *managed* in order to better facilitate acceptance of strategy. Andreessen, an alpha geek, stands Peters on his head and says software is eating the world. (Software assumes the rhetorical position held by culture in the previous sentence – hmmm.) I suspect he might not see this world-consumption by bug-ridden and ephemeral tech as an entirely bad thing, or at least see it as an opportunity of some sort. Sounds like a horror movie plot to a sane person. An artist’s impression of Software. IT people face ‘challenges’ in addressing corporate culture that complicate ‘even the best intentions’. Who, then, would be having these intentions? Would it not have to be the people in charge of the corporation, who have more or less intentionally shaped the culture? IT people, who are legendarily among the least socially clued in people on the planet, are to see trivia like other people’s intentions and culture as mere obstacles to their intentions, which they summarily and conclusively presume are the *best* intentions. IT intentions contain, as an island inside another circle in a Venn diagram, any *worthy* intentions of the customer. I wish this were exaggeration. Instead, it’s not the half of it. Man with a hammer style, IT people tend to more or less consciously believe that, always and everywhere, top-down, expert-driven, we know what’s best for you solutions are not only the best solutions, but are, definitionally, the entire set of possible solutions. And it gets worse! Because of various tech booms and consumer gadget-lust, technology leaders are often rich, insulated by money from those factors in the real world that stood a chance (however slight) of smoothing off the jagged edges of their hellish ideas. AND that money allows them to ACT on those unpolished ideas. Woe unto us, and our children! Those ideas will fail in the long run, as all ideas untethered from reality eventually fail. But the damage inflicted as they thrash in their death throes would be something to behold – if we weren’t the folks getting thrashed. Our heartfelt appreciation of a good, solid, comfortable pair of shoes does not, I should hope, incline us to appoint the cobbler God-Emperor. Our humble gratitude is what is due, and should be enough. IT is glorified cobbling, no more the fount of wisdom than any other rather narrow craft. But try telling that to the tech billionaires. “Throughout history, ignorance and hubris are the normal condition of man. Advances which permit this norm to be ameliorated — here and there, now and then — are the work of an extremely small minority, frequently despised, often condemned, and almost always opposed by all right-thinking people. Whenever this tiny minority is kept from enlivening the culture, or (as sometimes happens) is driven out of a society, the people then slip back into abject ignorance and hubris, and recommence killing each other with appalling gusto. An inspector of nuisances. Nice beard! 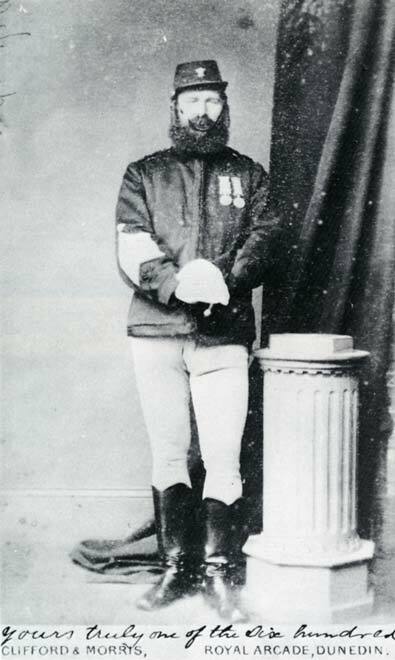 and Wapentake, frankpledge, court leet, and, among a dozen more fascinating tidbits, the inspector of nuisances. The issue that triggered my research is this: the idea that people have a right to the quiet enjoyment of their lives. English common law recognized that right, breaking it into two parts: common, where some activity or failure to act impairs the ability of the people in general to quietly enjoy their lives in public, and private, where some private persons are deprived of the quiet enjoyment of something, such as leased property, to which they have specific, privately contracted rights. Thus, the office of Inspector of Nuisances. Somebody has got to check out claims that, for example, somebody is making too much of a racket in the commons or that the neighbors are burning trash upwind. Inspectors of nuisances eventually became public health inspectors, charged with dealing with sewage and slums and trash. Wonder if this delightfully named office could be resurrected and repurposed to deal with the messes people make when they dump their personal garbage on the intellectual and moral landscape? Evidently, problems with cat ladies can be a nuisance, and go way back. The guy on the left looks like a bobby, so I’m guessing guy on the right is the Inspector of Nuisances. That the modern intellectual and moral landscape more and more is a dump and open sewer only becomes an issue for our newly-commissioned Inspector of Nuisances if it infringes on our quiet enjoyment. While it is still conceivable that a private person might simply ignore what goes on in public, never opening a browser or newspaper or turning on a TV, the situation is such that that they’d need to shield their eyes whenever out and about. If one were generous and dedicated enough, that might work, for now. But, we are told, politics is everything. Part of the dumpster fire we’d be attempting to ignore is the claim that we can’t ignore it, that there’s no such thing as a private life. Thus, even if we were determined to not let the garbage into our private lives, there are demonstrably those unwilling to let us do so, that even our claim to have a private life is wrong and must be crushed. Examples: Private businesses are now subject to the rules of modern intolerance; social media are increasingly censored for politically unacceptable speech; schools are used (as designed) for inculcation of the latest, most modern ideas, and attempts to free our kids from this outrage are treated as practically treason, which, under the rules of the champions of education, they are. If my business, my conversations and my decisions on how to educate my children are not private, the sphere of ‘private’ has shrunk drastically. 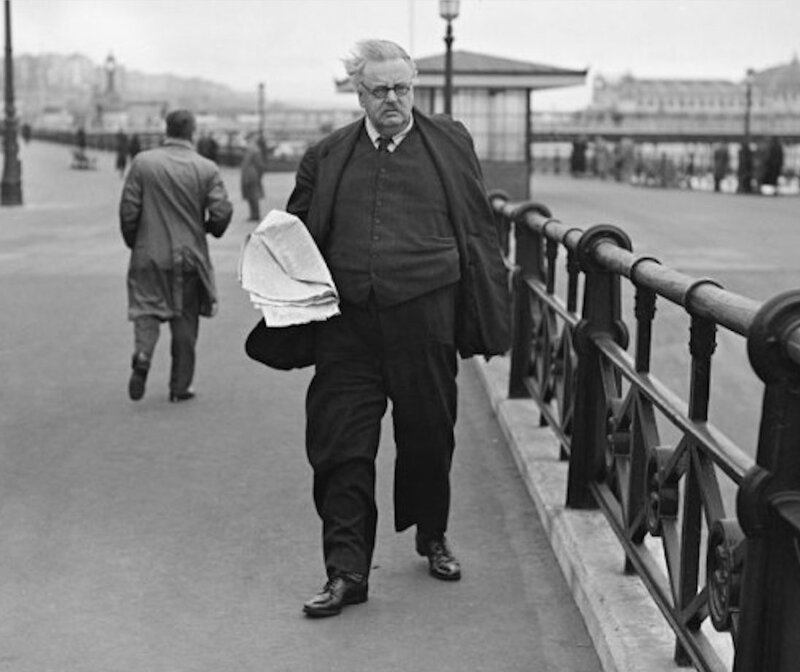 Chesterton repeatedly makes the point that the only place one can truly be free is with family and friends. In public, you are only free to conform. Even protests are conventional. By trying to make all things political, victims of post-modern ideas insist on public and private (because those are the same thing!) acceptance of those ideas. The very idea of quiet enjoyment, where what I do is my own business for my own pleasure but only on the condition that I honor the same rights in others, is an outrage, and in any event cannot be tolerated – it is a threat to the whole post-modern house of cards. Several topics obsessively addressed on this here blog have walked together luminously over the last few days. I here point out the dominance of the tech industry by obsessive college dropouts, each brilliant in his own very narrow way. While many – Jobs, Gates – are literally drop outs, others – Page, Brin – merely dropped out in spirit, after the fashion described by Chesterton above. These men, who found fabulous success at ridiculously young ages, did consume enough conventional schooling – Stanford! Harvard! Can’t get any more conventional than that! – to embrace two notions without which much of their current behaviors and attitudes would be nearly incomprehensible: that you, the students, are the best, most well-educated, open-minded and moral people to ever walk the earth, and that the foundational virtue is to be one with the group we assign you to. These poor souls therefore believe both that they are wise, good and open to new ideas and that the tribe they find themselves a part of is, definitionally, the font of all virtue and right thinking. The comfort that comes from establishing themselves among only people who agree with them is only exceeded by the evident panic induced by the vigorously resisted realization that that little group is immersed in an ocean of people who don’t. If a new idea was so reckless as to wander into their purview, an idea new enough (to them, anyway) to challenge the established, visceral idea feeling dogma that they are on the good team, and that they hold the right beliefs, their lack of meaningful education and their bullet-proof self-esteem has no way to accommodate it. It is likewise the sign of an uncultivated mind that it cannot entertain an idea it has not already accepted. Modern schooling assiduously lets young minds remain fallow – they are not cultivated, not tilled nor sown nor reaped. The ‘A’ in the SAT stands for ‘achievement’ – in the eyes of the schools, the SAT tests achievement, the specific achievement in view being the ability to do well on the SAT. That’s why there are SAT classes and sample tests, and existential panic over the results. Actual achievements – fluency in a foreign language, say, or mastery of calculus or welding – don’t get anywhere near the emphasis the SAT does. Given the years and hours dedicated to schooling, often an order of magnitude greater than was typical 100 years ago, one might expect 10 times the actual achievements to be achieved. We should be flooded with multilingual kids who play several instruments, can design and build in many different media, who can manage a business and build relationships and laugh and love. Instead, the pinnacle of achievement is to be the sort of crippled adolescent who, sitting atop a mountain of money, has a good cry with his friends when the wrong candidate wins an election. And then fires people whose agreement with his positions isn’t sufficiently enthusiastic. I’ve written on how the vast increases in wealth over the last century allows for the survival of many people whose fundamental beliefs and behaviors would otherwise get them killed. In the past, you could not be detached from all family relationships and expect to get fed and housed; someone who railed against the foundations of society – family, for example – would at best be shunned and, if he kept it up, banished or even killed in an act of societal self-defence. No responsible father, at least, was going to marry his child off to such a one. Now, we are ruled to a growing extent by people who believe their suicidal nihilism is sweetness and light itself, that if we only flatten the moral universe enough, we will see that surrender is victory and life is death. Any defense of the virtues of each man’s hearth is a vicious attack on someone who hates that hearth, who hates the idea that a man and a woman might find their deepest human happiness gathered with their parents and children and friends before the fire in their own home. All ideas that surround and support such a vision of happiness offend, while any that celebrate its destruction are a cause of rejoicing. That our society was built by men who shared that vision of family specifically to support that vision only means that society must be destroyed. So, see? I can still laugh. Think I’ll go sit with my wife and children tonight and watch an old movie.